Dr. Massagué holds the Alfred P. Sloan Chair in the Cancer Biology and Genetics Program at Memorial Sloan-Kettering Cancer Center and is also a professor at the Weill Cornell Graduate School of Medical Sciences. His research is in the areas of cell division and cancer metastasis, with a focus on signaling mechanisms that are essential for normal tissue growth and development, but which are altered in many cancers. Most notably, he investigated TGF-β (transforming growth factor beta), a protein involved in immune response and in cell division during embryonic development. By decoding the entire TGF-β signaling pathway, he discovered important principles about how external signals arrest cell proliferation, a process that leads to tumor formation. Building on this work, Dr. Massagué also identified mechanisms that control breast cancer metastasis. After obtaining his doctorate in biochemistry from the University of Barcelona, Dr. Massagué worked as a research fellow at Brown University, then joined the biochemistry department at the University of Massachusetts. He is a member of the American Academy of Arts and Sciences, the U.S. National Academy of Sciences, the European Molecular Biology Organization, and Spain’s Royal National Academy of Medicine. One of the 50 most often cited researchers over the past 20 years, Dr. Massagué has authored or co-authored 250 scientific articles and received more than 25 awards, including Spain’s national prize for research awarded in 1993 by King Juan Carlos I, the 2002 Howard Taylor Ricketts Award, and the 2004 Prince of Asturias Award for Technical and Scientific Research (with Judah Folkman, Tony Hunter, Bert Vogelstein, and Robert Weinberg). In 2006, he was awarded the Creu de Sant Jordi (St. George’s Cross) of Catalonia. 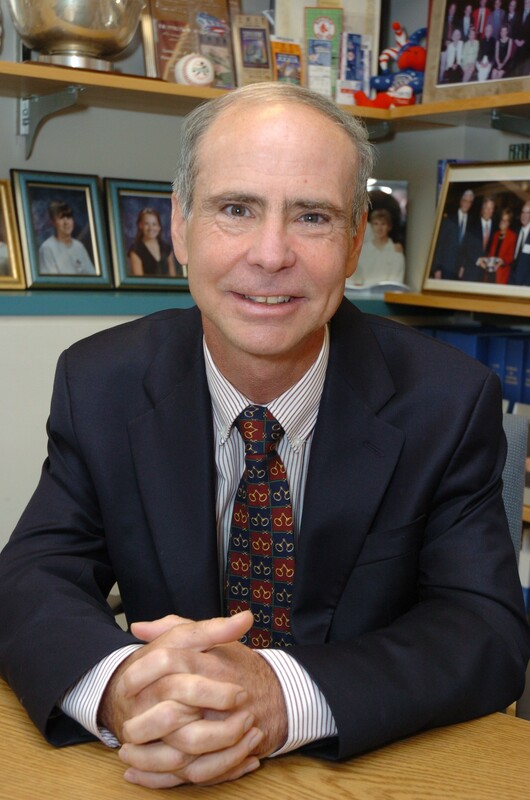 Dr. Anderson is the Kraft Family Professor of Medicine at Harvard Medical School and director of both the LeBow Institute for Myeloma Therapeutics and the Jerome Lipper Center for Multiple Myeloma at the Dana-Farber Cancer Institute. 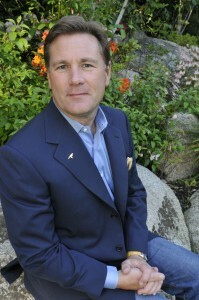 He is a Doris Duke Distinguished Clinical Research Scientist and an American Cancer Society Clinical Research Professor. 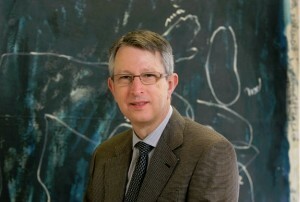 For the past 30 years, Dr. Anderson’s laboratory and clinical research has focused on multiple myeloma, including that development of laboratory and animal models of the tumor in its microenvironment, which resulted in the identification of novel targets and the validation of targeted therapies. His team led preclinical and clinical studies of the proteasome inhibitor bortezomib and the immunomodulatory drug lenalidomide, both of which received rapid FDA approval for the treatment of myeloma and are now markedly improving patient outcomes. Dr. Anderson’s work has transformed myeloma therapy, offering great promise even for patients with other hematologic malignancies and solid tumors. A graduate of Johns Hopkins Medical School, Dr. Anderson trained in internal medicine at Johns Hopkins Hospital, then completed hematology, medical oncology, and tumor immunology training at the Dana-Farber Cancer Institute. His awards include the 2003 Waldenström’s Award, the 2005 Robert A. Kyle Lifetime Achievement Award, the 2007 Joseph H. Burchenal Memorial Award for Outstanding Achievement in Clinical Research, and the 2008 William Dameshek Prize. He was elected into the Johns Hopkins Society of Scholars in 2009 and, in 2010, to the Institute of Medicine of the U.S. National Academies and the U.K.’s Royal College of Pathologists. Dr. Norton is a professor of medicine at Weill Cornell Medical College. At Memorial Sloan-Kettering Cancer Center, he is deputy physician-in-chief for Breast Cancer Programs, medical director of the Evelyn H. Lauder Breast Center, and holds the Norna S. Sarofim Chair in Clinical Oncology. Dr. Norton’s research applies the biology of cancer and the mathematics of tumor causation and growth to the development of novel approaches to better diagnose, prevent, and treat the disease. His “Norton–Simon Hypothesis” (derived with Dr. Richard Simon) has led to more effective and less toxic cancer therapies, as well as to other major discoveries, including the molecular identification of aberrant genes that predispose people to cancer and the development of drugs, such as monoclonal antibodies that target growth factor receptors and anti-cancer immunotherapy. He is currently working with Dr. Joan Massagué on a novel hypothesis linking cancer metastasis with cancer growth. After receiving his medical degree from the College of Physicians and Surgeons, Columbia University, Dr. Norton trained in internal medicine at the Albert Einstein College of Medicine and later served as a clinical associate and investigator at the National Cancer Institute (NCI). From 1977 to 1988, he was a faculty member of the Mount Sinai Medical Center. Former positions include chair of the Breast Committee of the NCI’s Cancer and Leukemia Group B, president of the National Alliance of Breast Cancer Organizations, and president of the American Society of Clinical Oncology. In 1999, he was appointed by President Bill Clinton to serve on the NCI’s National Cancer Advisory Board. 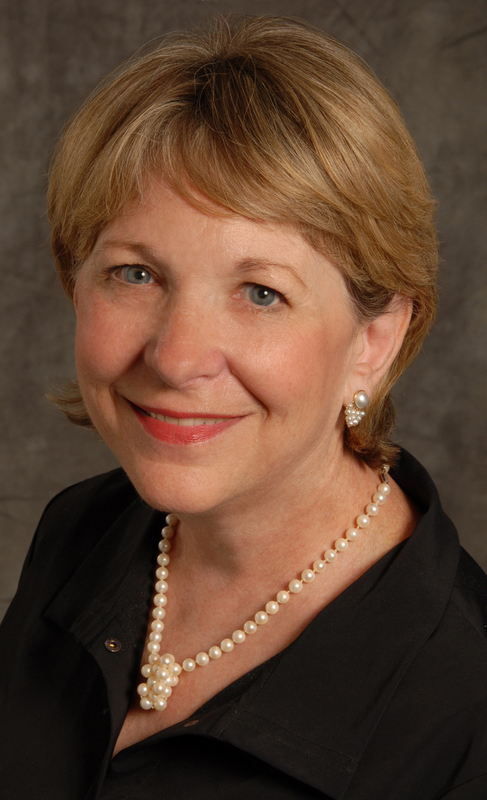 Dr. Norton’s awards include the 1999 NCI’s Director’s Award, the 2004 Karnofsky Medal, the 2004 Brinker Award, the 2006 Rose Award, and the 2008 McGuire Lectureship from the San Antonio Breast Cancer Symposium. A three-time survivor of cancer, Ms. Stovall has been advocating for more than 30 years to improve cancer care in the United States. She is currently the senior health policy advisor for the National Coalition for Cancer Survivorship (NCCS), having served 16 years as its president and CEO. The NCCS conducts evidence-based advocacy for systemic changes at the federal level in how the United States researches, regulates, finances, and delivers high-quality cancer care. Ms. Stovall is also the founder, and co-chair with Dr. Patricia Ganz, of the Cancer Quality Alliance, formed in 2005 to promote collaboration among stakeholders committed to improving cancer care. She is vice-chair of the Robert Wood Johnson Foundation’s National Advisory Committee for Pursuing Perfection: Raising the Bar for Health Care Performance, and co-chairs, with Dr. George Isham, the National Quality Forum’s Measures Prioritization Committee. Ms. Stovall is currently on the Institute of Medicine’s (IOM’s) Committee for the Development of Trustworthy Clinical Practice Guidelines. Previously, she was a member of the IOM’s National Cancer Policy Forum (NCPF), which brings together government, industry, academic, and survivor advocacy representatives to address critical public policy issues on cancer. As the vice-chair of the forum’s predecessor, the National Cancer Policy Board (NCPB) and its Committee on Cancer Survivorship, she co-edited the IOM report From Cancer Patient to Cancer Survivor: Lost in Transition. Additional contributions to cancer advocacy by Ms. Stovall include an appointment by President Bill Clinton in 1992 to a six-year term on the NCI’s National Cancer Advisory Board, as well as her leadership in the formation of the Cancer Leadership Council, convened to voice the concerns of cancer survivors during the national debate for health care reform, and which now comprises 33 cancer patient groups, professional societies, and research organizations. From 2003 to 2008, she was on the board of directors of the National Committee for Quality Assurance. Today, Ms. Stovall continues to advise U.S. presidential administration and congressional members on cancer policy issues. A 25-year veteran executive of the technology industry, Mr. Listwin is the founder and chairman of the Canary Foundation, the nation’s only nonprofit organization dedicated exclusively to early detection of cancer, a research area receiving less than 15 percent of funding despite the knowledge that early detection and intervention are far more effective than late-stage treatment of cancer. Mr. Listwin’s motivation is his family, which has been deeply affected by cancer. His father is a colon cancer survivor, and his mother died from ovarian cancer. Her death prompted him to become involved in finding a cure, including pledging millions of dollars to early detection research at the Fred Hutchinson Cancer Research Center, the Stanford Medical School, the UCSF Helen Diller Family Comprehensive Cancer Center, and other leading cancer institutions. In 2004, Mr. Listwin’s philanthropic efforts became full time with his launch of the Canary Foundation, which funds teams of leading cancer researchers who are collaborating to translate research on early detection into clinical applications. By delivering the first effective test for early detection, the foundation aims to spur a dramatic increase in NCI and venture capital funding that will allow tests based on this research to reach patients sooner and save millions of lives. The hope is that cancer screening will one day be as universal as cholesterol testing, leading to the early detection and elimination of most cancers. Mr. Listwin holds a degree in electrical engineering and an honorary doctorate of law from the University of Saskatchewan. 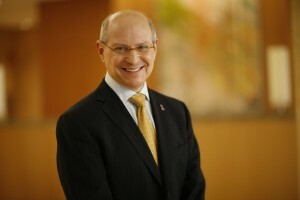 He serves on the boards of directors for several organizations, including the Donald A. Adam Comprehensive Research Center in Melanoma at the Moffitt Cancer Center, Stratos Biosciences, and the Listwin Family Foundation. 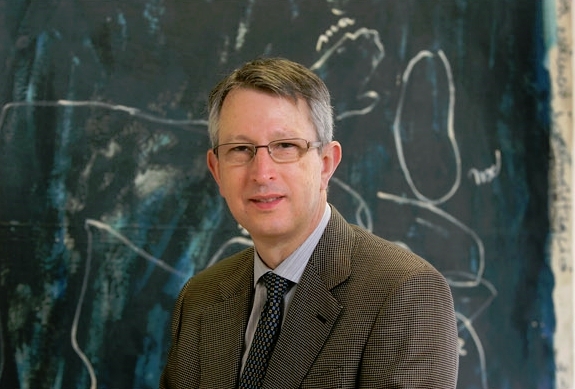 He is an advisory board member for both the Center for Cancer Nanotechnology Excellence and the Early Neoplasia Detection Center, at Stanford, and is a board of trustees member for the Fred Hutchinson Cancer Research Center.